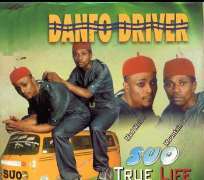 Much might not have been heard from this talented duo of the Danfo Drivers. But recently, we were surprised to see a new album from one of the member of the group AZUBUIKE HENRY OGHENEMAIRO aka. Mad Melon. In this interview, he tells Nollywoodgists.com what has been happening and their struggle in the music industry. My name is AZUBUIKE HENRY OGHENEMAIRO aka MAD MELON, born in Lagos on the 27th of Sept, 1977. Am from Asaba Ase in Ndokwa East LGA, Delta State. What led to your break up with your co-singer? There is no break up,both of us are still together as DANFO DRIVERS. Mountain Black is still my partner, friend and also my brother. But this my solo album TITLED BACK IN D DAYS is just my own project, so when the time comes both of us will do a group album. All along we were still in the game musically. In 2009, we released an album titled NEW CHAPTER and in 2011, we released another album titled BACK 2 SENDER for two different record labels. Both record labels refused to promote the albums and we did not shoot videos of the songs. Though, we did a video of a song in the New Chapter album titled MESHANGO but the video was not promoted. So, both albums were not successful and it prompted our fans to believe we were out of music. What is the name of your new record label and the name of the manager? My new label is GLOBEDISK MUSIC owned by OBI NWEKE but my management is D' ARK ENTERTAINMENT owned by ITIVEH MICHAEL NOAH. Who are the artistes on the record label too? Other recognize artists in the label is African China and Proffessor Linkin aka Jogodo. Your new single, what's the title? BACK IN D DAYS is an album project that has ten tracks and in it i have songs like Back in d days which is also the album title, Kanyi gba egwu, We go dey, Wetin dey (Ghetto Song) Dey well, Topom (Burkina Faso) Ololufemi, Gbemi ga, Me sha dey go and Gbangan. Are you still single or married now? Am still single but i have two kids a son and a daughter by a lady but the relationship didn't work out between us. How would you rate the music industry before and now? The Power Of Marriage, PSquare On The Verge of Breaking Up?? ?